Craving donuts? You're in luck. A new business has opened its doors in the neighborhood. Called Stan's Donuts and Coffee, the fresh addition is located at 181 N. Michigan Ave. near Lake St. in the Loop. 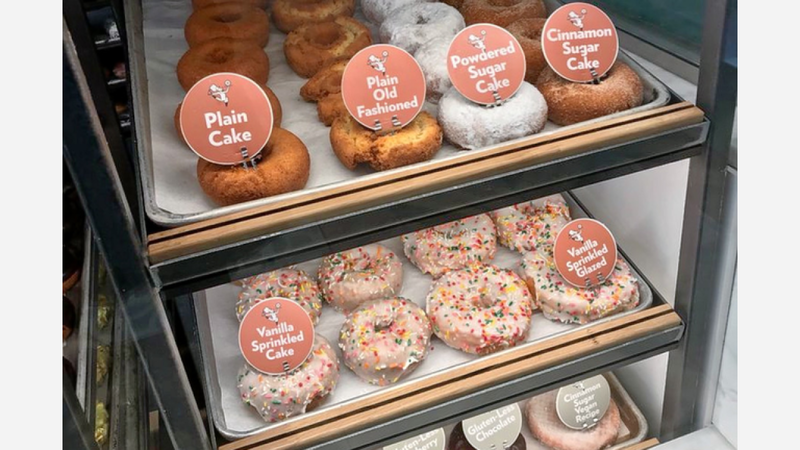 This new spot, which has eight other Chicago area outposts, specializes in California-style donuts, bagels, ice cream, specialty espresso drinks and more. On the menu, expect to see donuts like blueberry old-fashioned, toffee cake, strawberry bismark and vegan cinnamon and sugar. For coffee drinks, look for mainstays like lattes, mochas, cappuccinos and "Stan's Frappes" in flavors such as caramel, vanilla and coffee. Look for donut cakes as well, with flavors like "Captain Crunch," buttercream and raspberry. You can check out the full menu here. Stan's Donuts and Coffee has gotten an enthusiastic response thus far, with a five-star rating out of four reviews on Yelp. Angel R., who was among the first Yelpers to review the new spot on Jan. 4, said, "So glad to have a Stan's in the neighborhood! Gluten free and vegan options too. Friendly staff...so many options for donuts, drinks and gelato...yum!" Yelper Querida Q. added, "The pistachio glazed old-fashioned is a forever classic; and the Nutella banana pocket is always oh-so-good...I love how not only do they bring the beloved donuts to the Loop, but this location also boasts an impressive selection--more than ten!--of cold brews on tap." Swing on by to take a peek for yourself. Stan's Donuts and Coffee is open Friday and Saturday from 6 a.m. to 10 p.m. and Sunday to Thursday from 6 a.m. to 9 p.m.